The Flite Test Power Pack "C" contains everything needed to power one of the Swappable (twin engine) Planes. This kit completes everything you need to build a Flite Test twin engine Swappable airplanes. 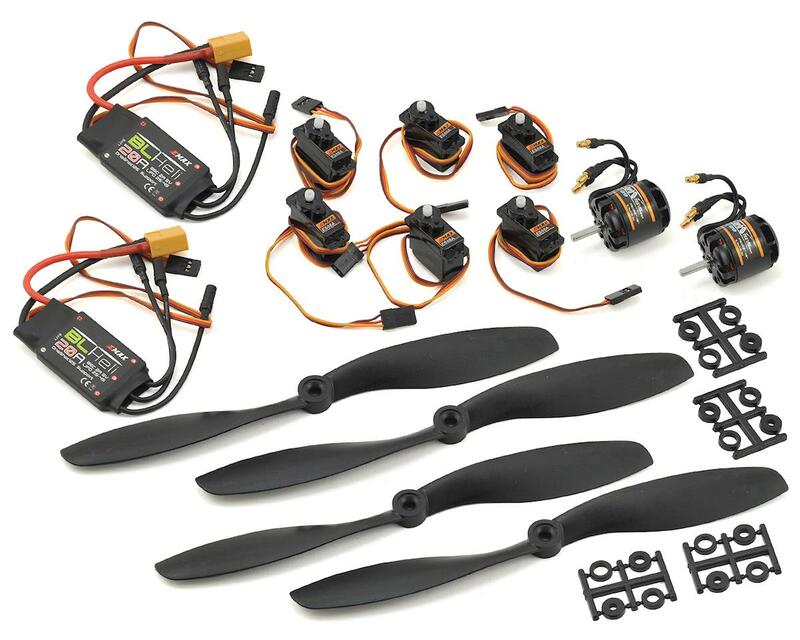 The only other components you will need to fly is a battery,charger, transmitter, and receiver. The included motor and ESC comes pre-soldered with 3.5mm Bullets and XT60 Connector. A custom power harness is required to power BOTH ESC's off of (1) LiPo Battery. 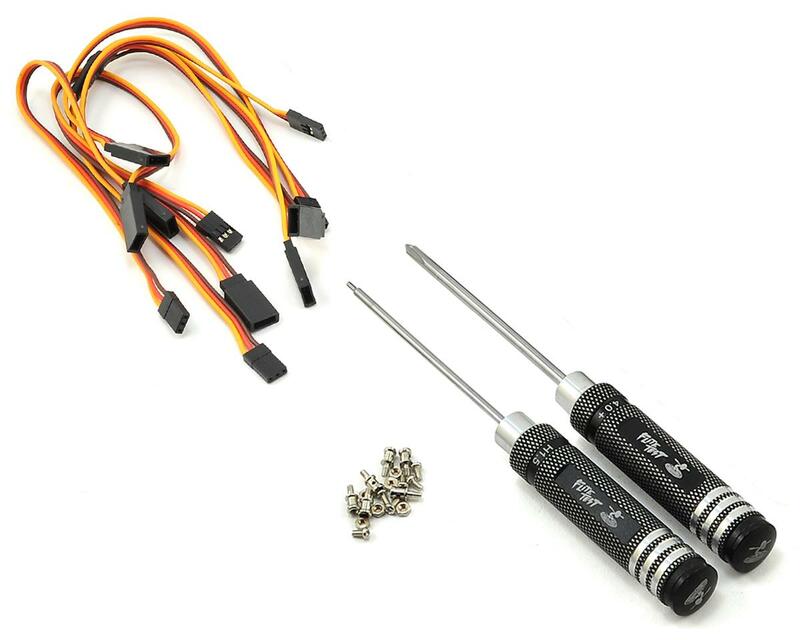 Just ordered this set, not yet received, installed or tested. Review based on cost issues only (simple due diligence). The 2 EMAX GT2215-09 1180KV Outrunner Brushless Motors go for $64 at amazon. The 2 EMAX BLHeli Series 30A ESCs (XT-60) go for around $40 (with shipping) at Amain Hobbies. That's just over $100, and that's without the cost of the 6 servos and 4 props. So for $95, this powerpack would seem to be a good bargain. Yes, one could most likely put together this pack for a bit less with some shopping around and/or substitutions. Worth it to save at best $10? You be the judge. Will be fitting them into the Flite Test Cruiser (and perhaps the Flight Test Bronco as well). Everything works as it should. At first it only came with 4 servos, but they sent they other 2. I understand that the're busy moving locations so I'll let that one slide. This is probably the best deal you can get from a website, so I would strongly recommend it!!! The power pack came with everything but two servos, luckily I had extra. Everything seems to be working great on my Guinea Pig. Haven’t tested it to much yet, looking forward to!